We can take care of all the stocking requirements for your syndicate or fishing club, we use great looking fish with full fins from Hooke Springs Trout Farm for all our clients stocking. Pre season stocking plan to suit your fishery. 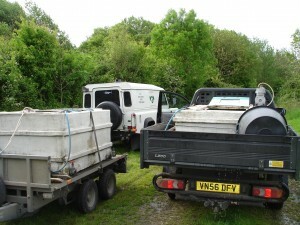 Environment Agency consents obtained prior to all stocking. Trout ordered, and delivery date set. Trout stocked by hand and spread throughout the entire fishery, by our staff. Advice on Diploids and Triploids. We also offer an electric fishing service to monitor fish populations.